You know what always seems like a great idea? 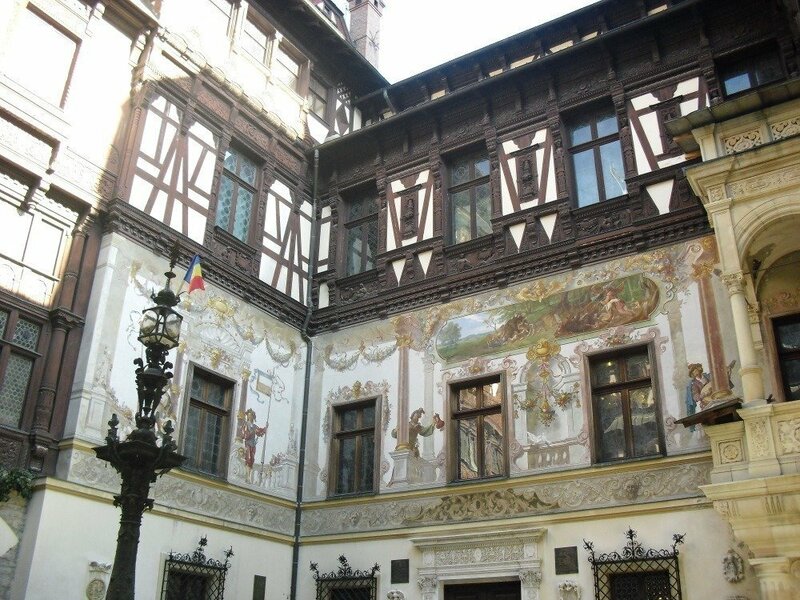 Going on a Dracula Tour in Transylvania, Romania! So, when two close friends of mine suggested that we should go to Romania, and explore Transylvania, all I could say was “YES!” We booked a regular Dracula Tour trip offered by Macedonian travel agency that didn’t cost too much, and it included a three-night stay at the Bucharest Ibis Hotel. 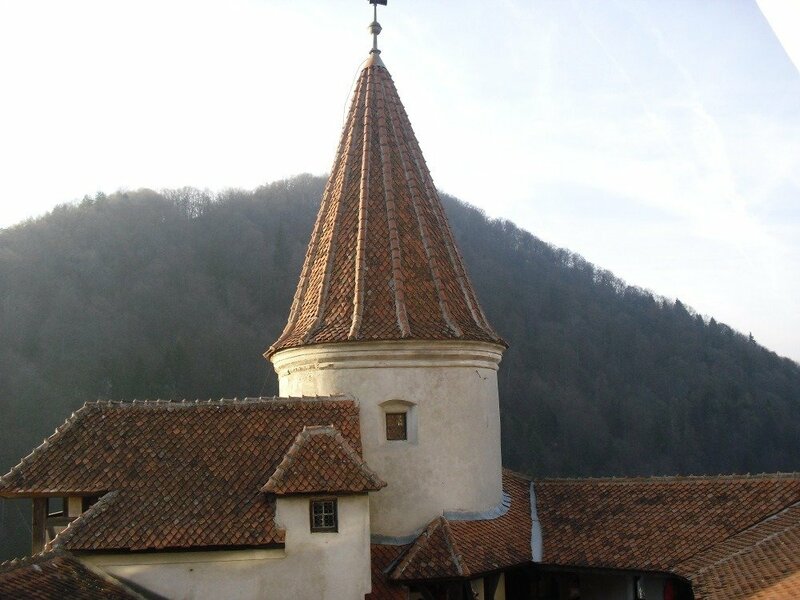 What we knew prior departure was that we would visit Dracula’s Castle, another supposedly cool castle, a place named Brasov and Dracula’s tomb. Also, the tour guide said that we would be able to either spend New Year’s Eve with the group in front of the Parliament or to organize something on our own. When you are a young, vampire enthusiast all of this sounds like a promise of the best trip ever; however, things didn’t work out as expected. It was freezing outside and I didn’t particularly enjoy the sights or the city in general; I found it dirty with suspicious people wandering the streets. 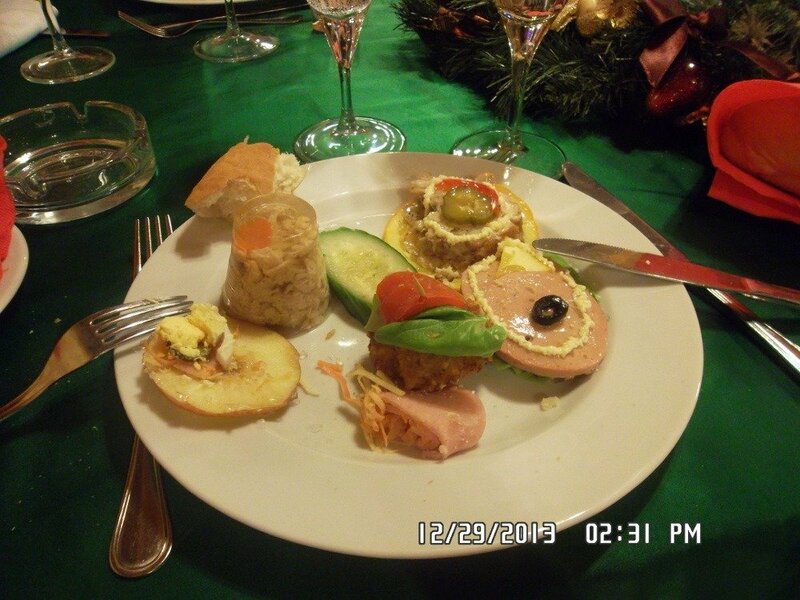 Yet, I decided to sign up for a traditional Romanian dinner party, and try to experience as much as possible of this country’s offerings. Before revealing my first impressions of all the places we saw, I would like to say something about the journey first. Well, traveling from Skopje to Bucharest took us more than 13 hours by bus. Obviously, we were making stops for breaks, and spent some time waiting at the borders (Macedonian, Bulgarian, and Romanian); still, it was too much for someone that prefers traveling either by car or plane. Anyway, upon our arrival in Bucharest, I was exhausted and just hoping to get into my hotel room. However, the guide decided that it was the best time to show us some popular sights in Bucharest like Ceausescu’s house, the Triumph Arch, and the Parliament building. What we noticed is that it’s probably not safe to wander late at night across Bucharest because there were suspicious people, making us uncomfortable. 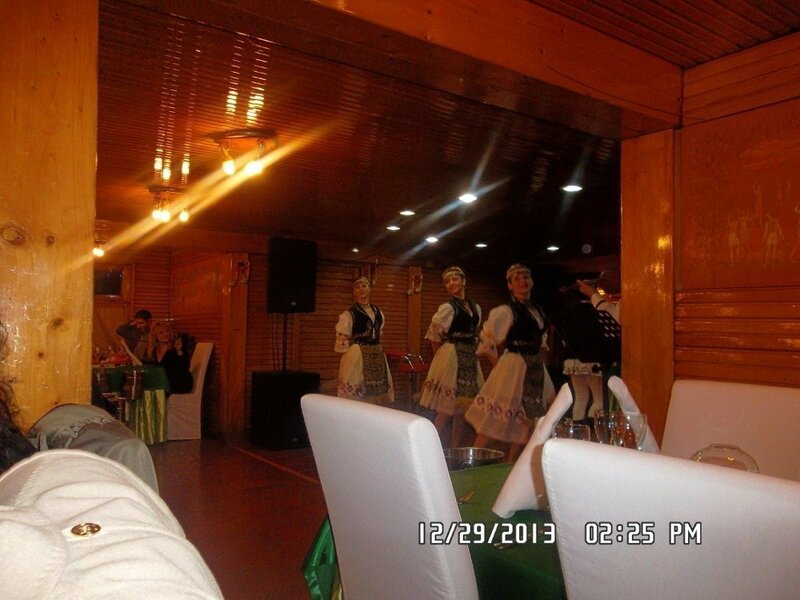 During the traditional Romanian dinner, we found out that Romanians have great music and traditional dances, but also unusual food. 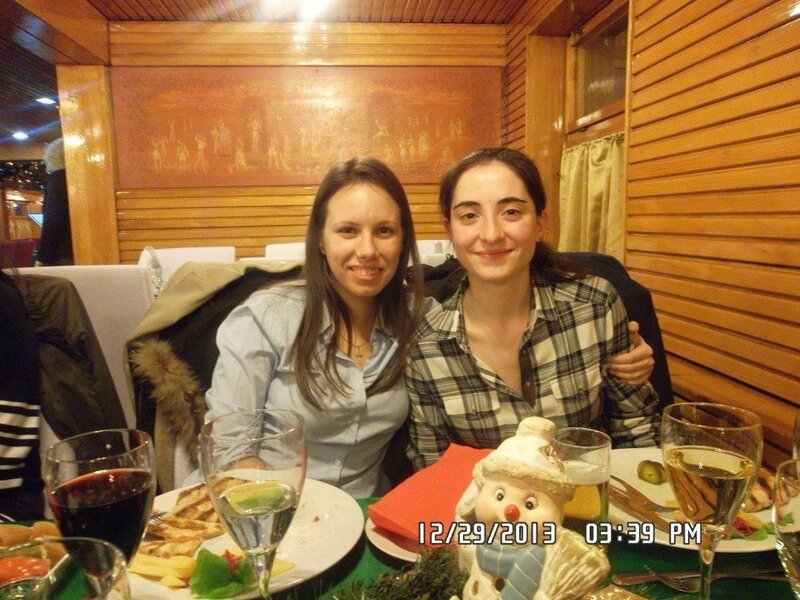 There were some weird jelly things in the plates, but also some very delicious stuff too; so, I would recommend booking a traditional Romanian dinner, since it’s a great way to both have fun and experience a crucial part of the country. 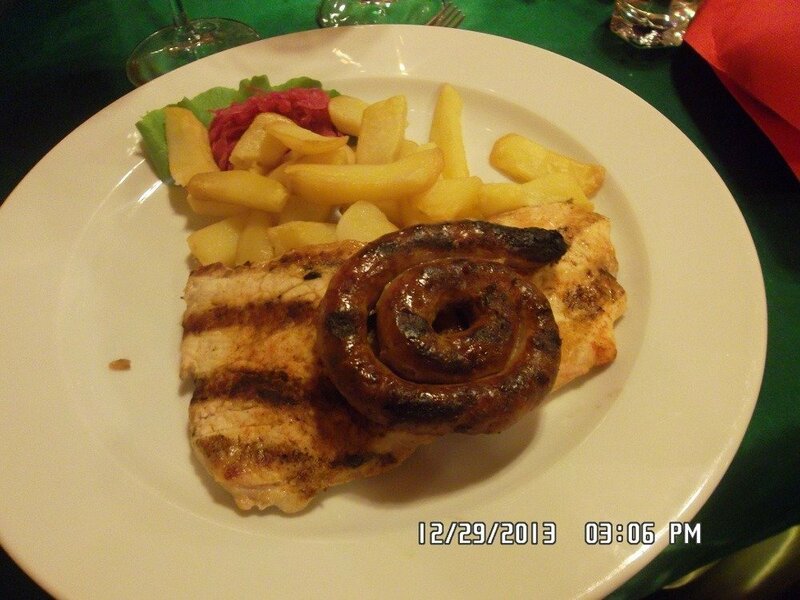 At the traditional Romanian dinner night. Another thing I would like to point out prior to listing some of the cool things we saw is related to money; I don’t know about now, but at the time of our visit we had to change Euros into Romanian Leus and people were always trying to rip us off. Even when we visited an exchange office at the main train station the guy gave us less money, but it was late at night and we were two girls and he looked like some mafia boss so we just decided to get back to the hotel as soon as possible. Well, Bucharest is a city that offers quite a few things to see; unfortunately, we couldn’t check them all and the ones we did see were more like 5-minute stops. 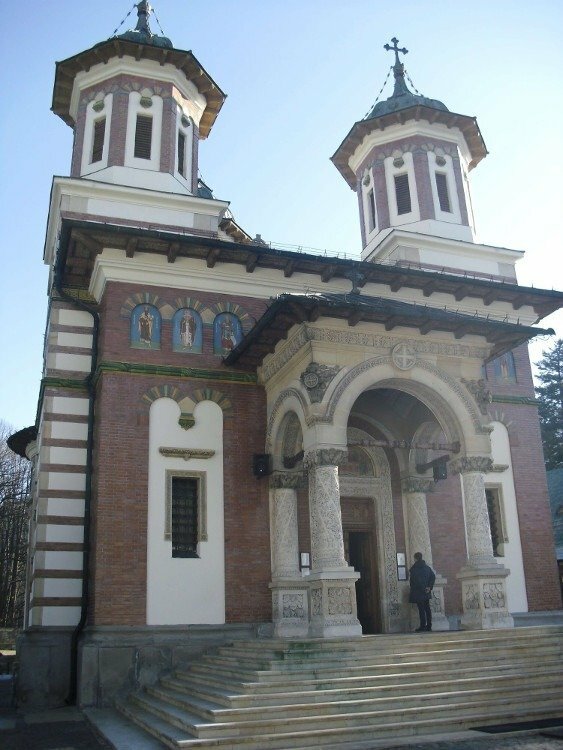 Nevertheless, some favorite spots are the Herastrau Park, the Stavropoleos Church, the Village Museum, the Cismigiu Gardens, the Parliament building and the Old Town. I really enjoyed the various architectural gems that can be seen across the city and sometimes you can just wander around and take gorgeous photos without even knowing what are you photographing. 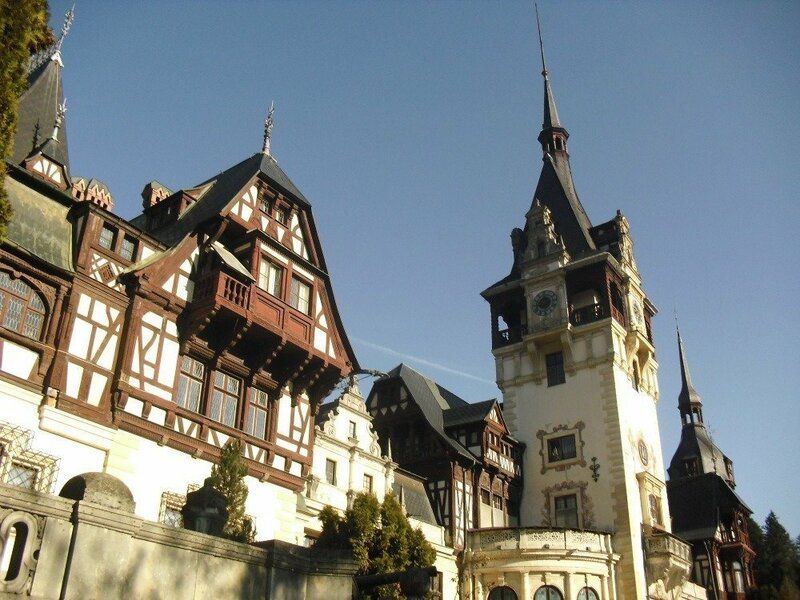 Sinaia is a wonderful little town near Bucharest that offers so many attractions; aside from wandering its lovely streets, visitors can check out the Peles Castle, the Pelisor Castle, the Sinaia Monastery or the Lalomicioara Monastery and Cave. 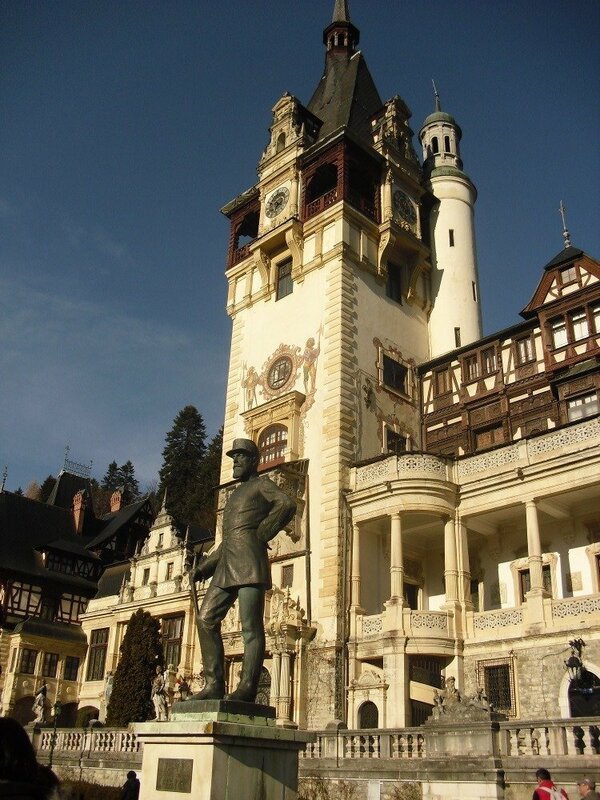 We did take a tour of the Peles Castle and boy was it worth it. This wonderful castle offers a great experience to those that want a glimpse into the past. It may get a bit crowded and I think students can buy cheaper tickets. However, the building is wonderful and you can take great photos there, so if you have a chance I recommend visiting it. 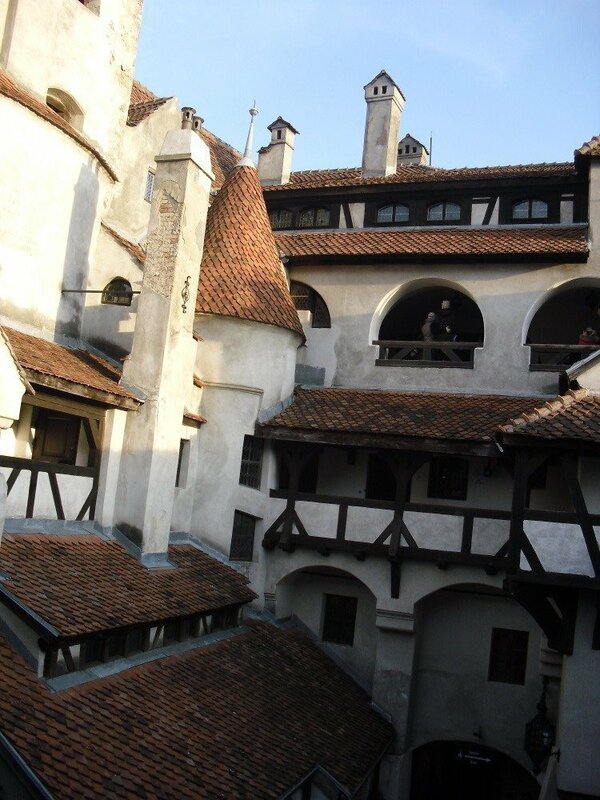 Soooo, Bran Castle is the star of any Dracula Tour since it’s promoted as Dracula’s House. However, I would say this is the biggest scam ever since if I heard things right, this castle has close to nothing in common with the infamous ruler Vlad the Impaler who is the inspiration behind the character of Dracula. Also, fans of Bram Stoker’s Dracula believe this is the home of the blood-sucking creature, but this also isn’t true since the castle has almost nothing in common with the place described in the book. Anyway, the castle itself, as a historical site, is a nice place to visit. It’s small and somehow charming, it features some cool costumes inside, which I also think are fake, but whatever. I have mixed feelings regarding this place because I came here with high expectations and the best thing I got from it were the Vlad the Impaler stories told in the bus on our way there. Brasov is another charming Romanian city that is worth visiting. We arrived there late and therefore couldn’t enter the popular Black Church, which was a huge fail. Other than the church, visitors can take photos of the Council Square, the Hollywood-style Brasov sign on Tampa, the Old Town, and the St. Nicholas Church. On our last day we experienced our last Dracula-related disappointment when we got to the Holy Monastery of Comana to visit Dracula’s tomb. You guessed it, this tomb that shouldn’t be stepped upon and that features Vlad the Impaler’s photo probably isn’t his tomb at all. Namely, archeologists found a headless body in the 1970s and believed it could be Vlad Tepes’ body without any actual evidence of these claims. So, they just went for it, marketed the place, attracted thousands of tourists that come to visit the tomb of a headless body that may or may not be the one of Vlad Tepes. Sweet, right? 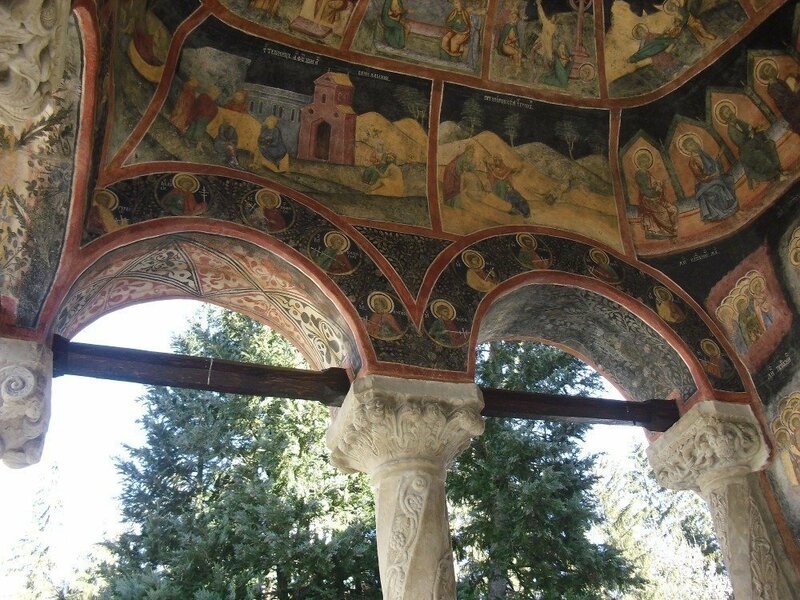 Once again, I felt betrayed by this entire adventure, but the Monastery itself was gorgeous and worth seeing anyway. After four days spent mostly in a bus or visiting Dracula-related places that aren’t Dracula-related places, I was definitely happy to head home. I can’t say that I’m sorry for booking this tour and seeing all I’ve seen in the course of four days. The castles were beautiful, celebrating New Years in front of the Parliament, and never being in Romania before, the trip was more than worth it. However, the disappointments of everything Dracula-related were huge; even now, when I think of all those scams (this is my personal opinion) I feel both angry and sad. It’s one thing to visit a castle because you want to appreciate its architectural and historical value, and it’s completely a different thing to visit the “home” of Count Dracula in order to find out that’s not even close to the truth. As for our accommodation review on this trip, check out our Ibis Hotel review. When I got home after hours and hours spent stuck on the bus again, I told people that we had a great time. And we really did have a great time, but it would’ve been even better if this tour was named a Romanian Tour instead of a Dracula Tour.